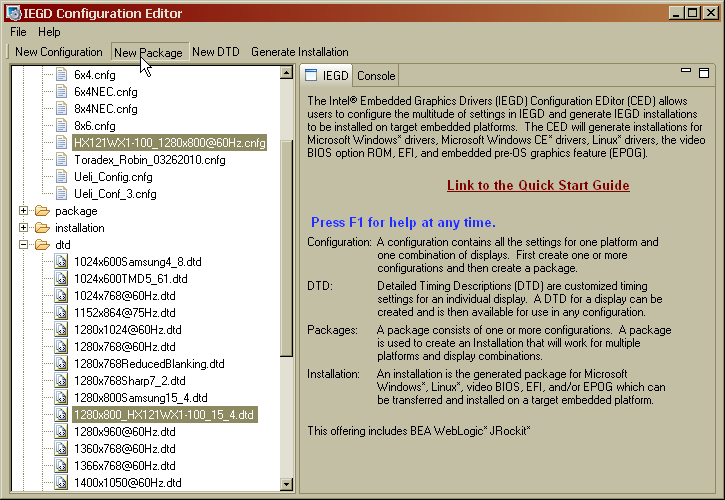 To create own drivers for special display configurations the IEGD Tool from Intel can be used. on a Robin/Woodpecker Module or on a development host. 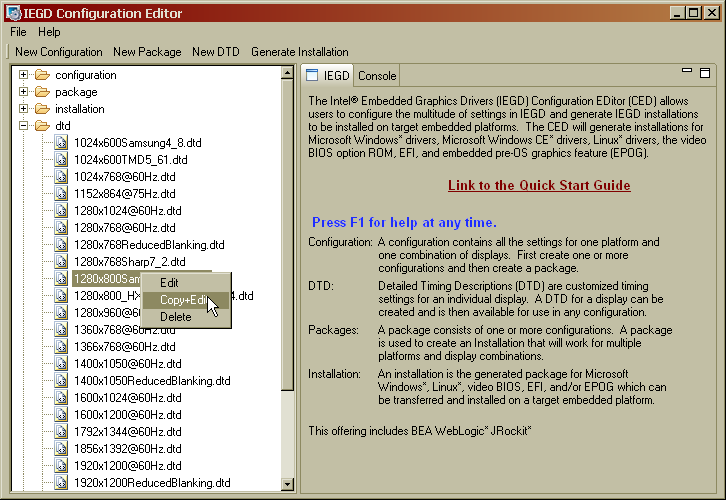 With the IEGD Tool the driver for the display will be generated. After generating, the driver has to be installed on the target System. 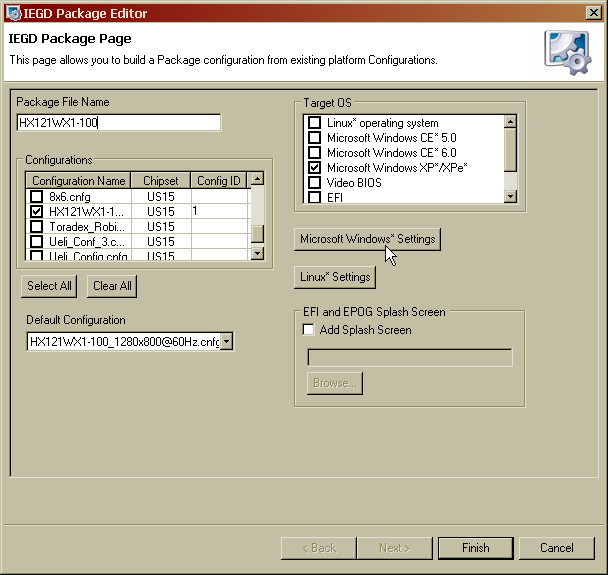 or more configurations and then create a package. multiple platforms and display combinations. 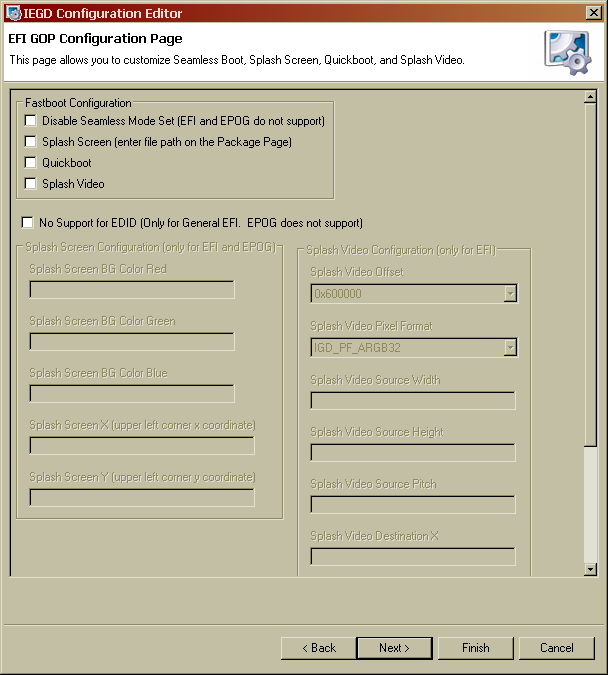 be created and is then available for use in any configuration. We start with the dtd. 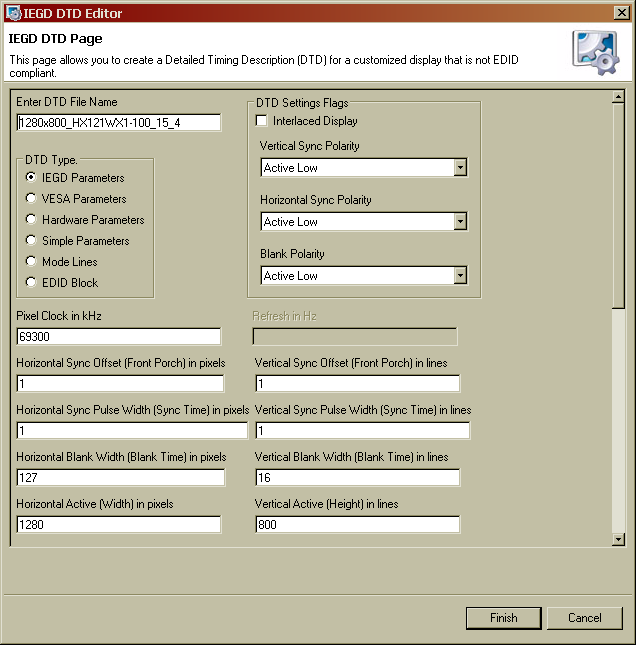 fields click Finish and return to the IEGD Configuration Editor. 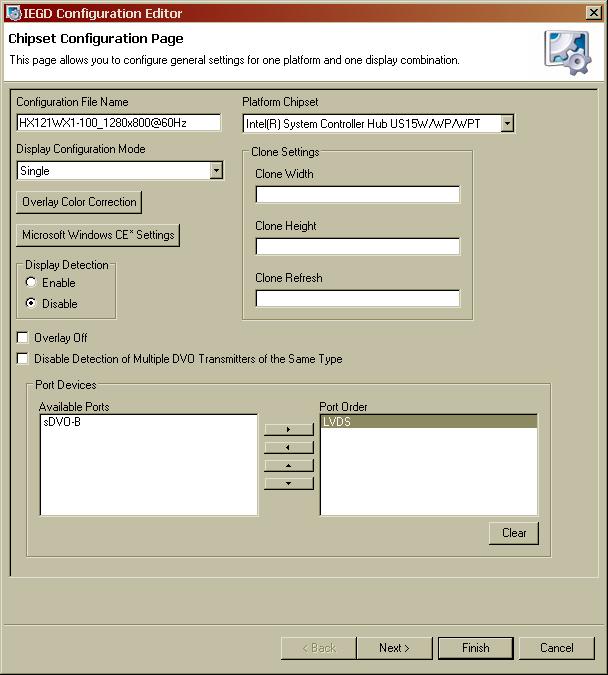 Pick a configuration close to the expected configuration and dublicate it by right clicking and choosing Copy+Edit. reaching an suitable and stable driver configuration. 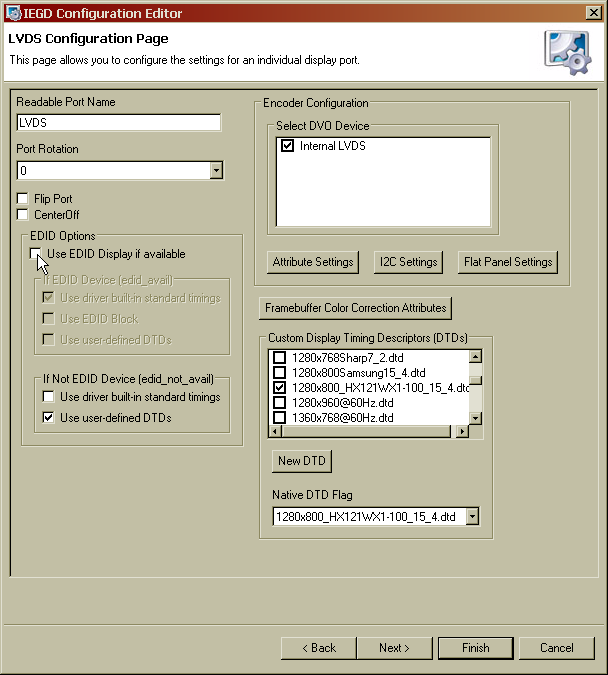 Click next to reach the LVDS Configuration Page. identification data) Choose <> and <>. Click Attribute Settings to reach further Attribute settings supported by the display. This page allows to set the supported attributes. All standard attributes are NOT supported by every device. 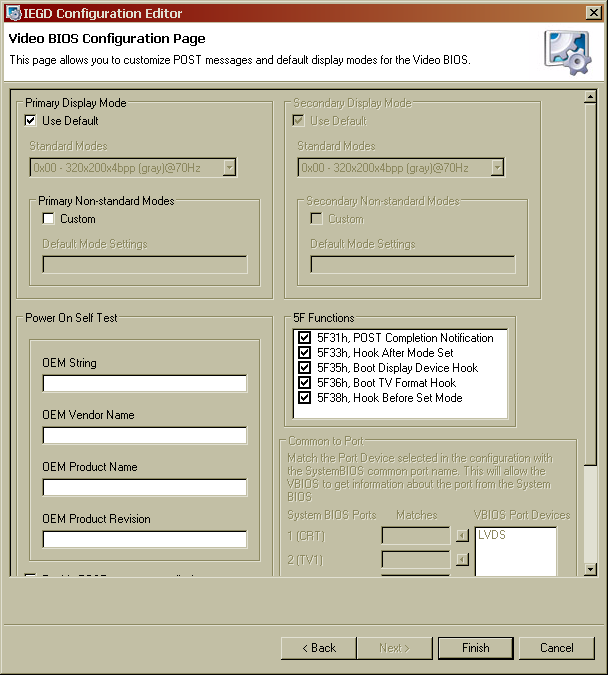 click Next> to sDVO-B Configuration Page. clicking the <> Button if necessary. 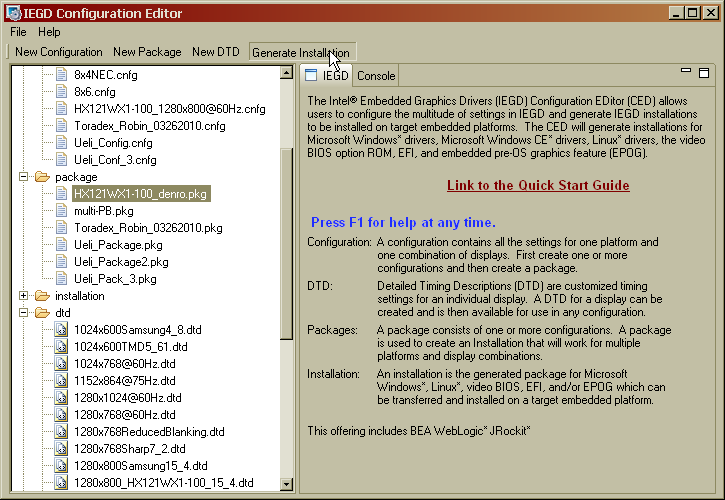 After setting up the timings and configurations click New Package. 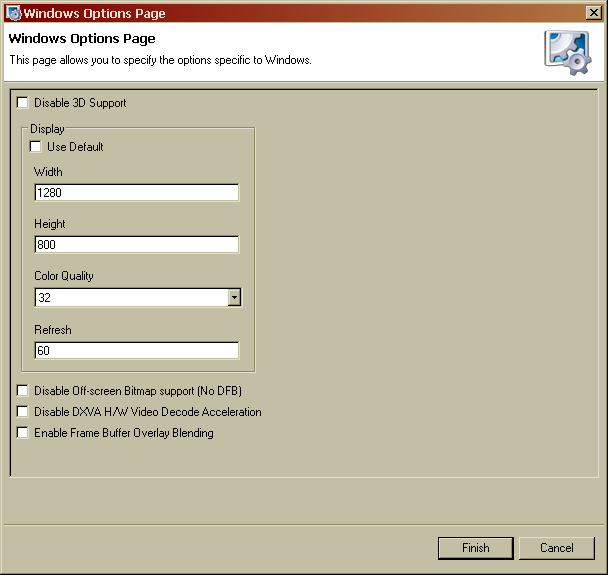 Button to get to the Windows Options Page. 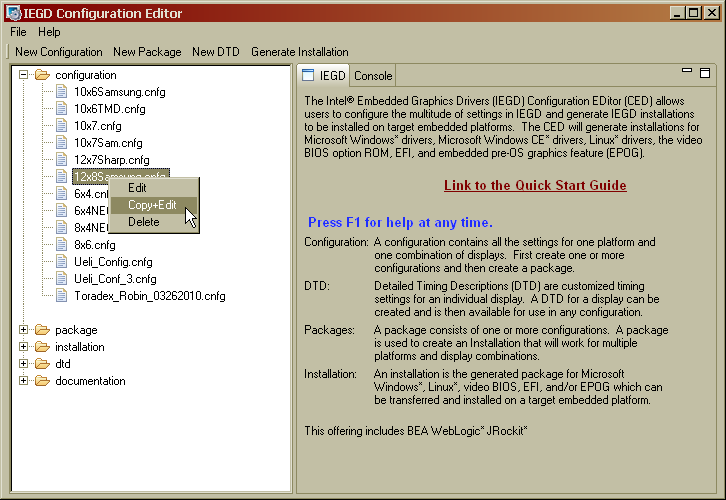 the main site of the IEGD Configuration Editor. 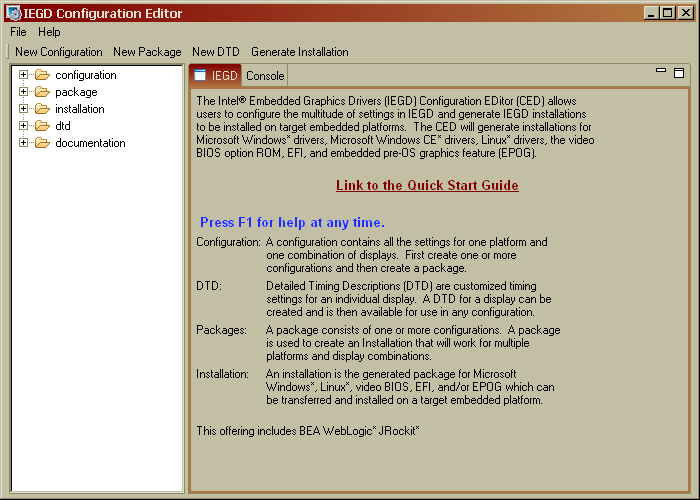 file generatet is called <<IEGD_10_3_Windows.zip>>. Install the new driver on the target system. 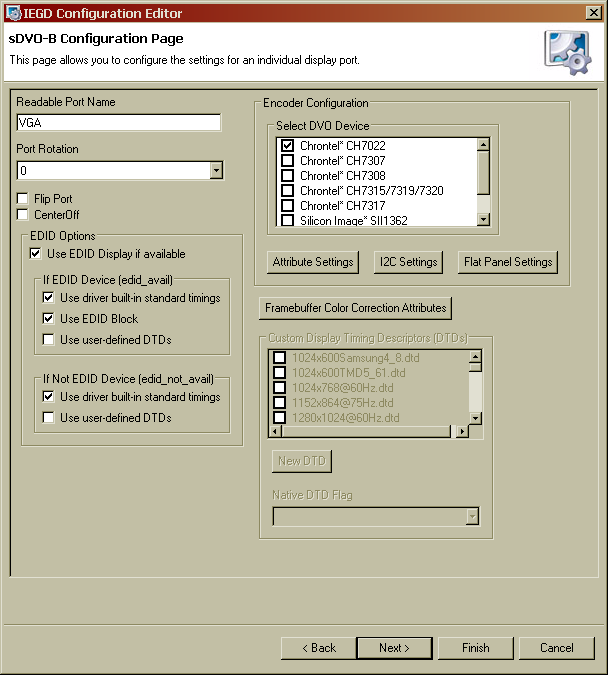 For Microsoft Windows Embedded Standard or if facing problems during common insatllation process follow the link to Graphic Driver Intallation on Windows Embedded Standard.